MS Dhoni and his team's supporters, are treated differently by a shoddy production. The veneration showered upon the skipper remains the objective of this show. The story of Dhoni is allowed to eclipse that of the CSK faithful. 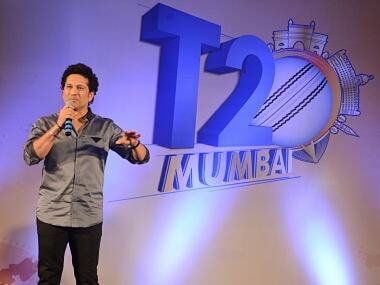 Last week, a video was released from the Chennai Super Kings (CSK) practice session at Chepauk Stadium. It should have been a run-of-the-mill, build-some-hype, teaser. But the devotion on display by the franchise's fans swept everyone off their feet. A packed audience traced every step of the team's talisman, MS Dhoni, as he walked out to bat. His name was chanted, nay roared, by thousands, the voices crashing into each other as pent-up yearning to watch their most precious was released after a year. 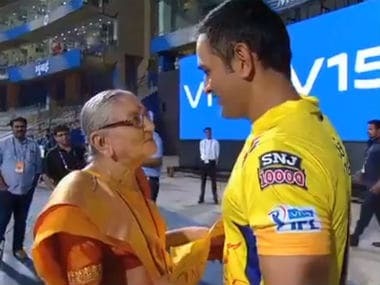 No matter that CSK was just training. Like Jean-Paul Sartre's bus-queue, the voices unified into Dhoni — a name, for once the cliché can be pardoned, synonymous with CSK. These two objects — the captain and the fans — form the centrepiece of Roar of the Lion, a Hotstar after-the-fact miniseries that chronicles CSK's return to the Indian Premier League (IPL) after a suspension of two years. But the consensual partners, Dhoni and his team's supporters, are treated differently by a shoddy production. The veneration showered upon the skipper remains the objective of this show. The story of Dhoni is allowed to eclipse that of the CSK faithful. It is as if the makers decided that a hagiography of the captain cannot exist alongside a rich biography of the fans. It seems to have escaped them that CSK is a unique goldmine for any film crew. In a tournament where franchises speak of their fan base in abstract terms, the Yellow Army is a rare brush with reality. It would be churlish to deny that CSK commands serious, committed sets of fans. 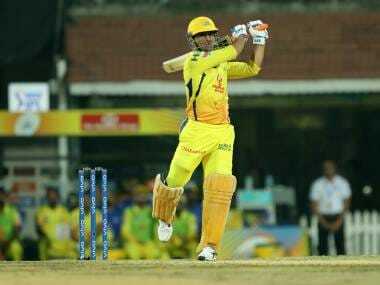 But the producers — Dhoni Entertainment, one of them — preferred to mythologise the cricketer at the expense of the variegated tapestry woven by CSK's fans. Unfortunately for those who put themselves through two hours of tedium, this editorial choice damages the narrative. The interesting questions worth investigating remain muted. Why is it that CSK stands apart from other franchises? What are the demographic patterns of the franchise's support base? Which cultural markers and rituals define CSK fans? And most importantly, why do they still stick by CSK after a betrayal of the most serious kind — in the words of Dhoni, fixing is a bigger crime than murder? Instead, the hastily put together miniseries — seemingly in response to the Mumbai Indians series on Netflix — is bound by a servile commitment to whitewash CSK. The demi-god Dhoni, ghostly patriarch and owner N. Srinivasan, and Ravindra Jadeja push their own version of untruths on the spot-fixing case that led to the suspension of the franchise. We are told that Gurunath Meiyappan was known as 'the son-in-law' by the players, not team principal; the punishment was justified but its quantum was excessive, without any supporting evidence; the allegations were patently untrue, according to Jadeja; and skipper Dhoni could not speak out at the infamous press conference because the Indian team and CSK are different. 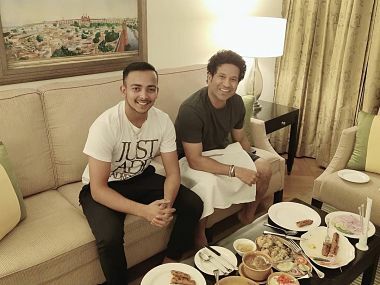 Obviously, this newfangled separation between the proverbal church and state is not to be followed when performances in the IPL can be lapped up to the media, especially as justification for selection to the national side. The cult of Dhoni is powerful, so it remains a ready weapon whenever the dirty past of CSK needs to be glossed over. This miniseries could have been an opportunity to tackle the question honestly, for there is much that remains unknown about the episode. But in Indian cricket, transparency is a policy best avoided. So, we are none the wiser about one of the biggest scandals in Indian cricket. Instead, we are forcefully reminded that Dhoni and others have given a clean chit to themselves. But for the makers of Roar of the Lion, there are other charges to face. The heartbreaking turnaround for CSK fans last season, which saw their team shift bases to Pune after just one game due to the Cauvery protest, is given short shrift. The pain of the supporters is addressed by Dhoni and Srinivasan while fans are afforded room when they sound cheery on the Whistle Podu express — a special train service that transported CSK fans to Pune for 'home' matches. The franchise's effort in arranging transport becomes the main story, with little attention paid to the experience of the majority that is left behind. The change in venue would have made for an interesting reflection from those who did not or could not travel but their voices are lost amidst the cacophony of cheerleading. Their views appear to be a trifling matter when undue haste or sheer indifference is the theme of the production. The sense that it was a series rushed rather than crafted grows when you hear the same claim — 'CSK can win even on the beach' — attributed to both Dhoni and Dwayne Bravo at different points in the fourth episode. Some lines are repeated to merely fill empty space, Jadeja is dubbed as saying 'quarterfinal' for 'qualifier', and Dhoni's reference to Bhuvneshwar Kumar is followed by images of Sandeep Sharma. Even a sweatshop would insist on better production quality. But when the story is about 'the greatest comeback ever' — was it? — little else matters. Dhoni's star is varnished with a dedication that would put CSK fans to shame, his story rubbing out all other embellishments. The franchise's impressive run to the IPL title is an aside to the obsession with Dhoni's greatness. But it is the treatment of the other preoccupation of the miniseries that is more familiar, but no less disappointing. From Roar of the Lion to the stands, cricket supporters are neglected with consummate ease. The fan experience, from the stadium to the television, is a relegated concern; the rich, the powerful, and the popular dictate the interests of those who run the game. For the privilege of the star cricketer, the iridescent lives of CSK fans are overlooked in a narrative laced with apathy and indifference. Supporters are cast as props, their voices matter only when they are heard chanting a cricketer's name. Otherwise, their bleatings is just ambient noise in the afterglow of the insuperable hero.